You’ve got your mould or your container and you’re ready to make some candles but how much wax do you need? Find out more about the different waxes available. For example if your container takes 250ml of water, you would use 200g of wax (250-50). This is because 1ml of water weighs exactly 1 gram (for the nerds amongst you this is because a kilogram is defined as the weight of 1 litre of water). So 250ml of water weighs 250g. However, wax is slightly less dense than water so you need to deduct 20% or so to get the right weight in wax. PS: Interested in starting a craft business (or already running one)? 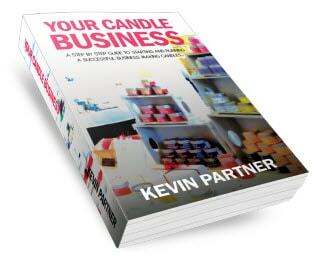 Check out our Professional Candle Making Course. HI Peta i sent away for more wax which i have received thank you ,i have a block and some granuals what are these for or are they all the same, to mix together. i am sorry but i do not use facebook at all as i got hacked once .or twitter..
It’s best not to mix waxes Maurice. If the block and pellet waxes you’re referring to are supplied by us, the block is a container wax not suitable for use in moulds, and the pellet wax is for moulded candles and not suited to use in containers! HI Peta many thanks for that i think i might have to order more wax for your round moulds as i am hooked on them thanks again Maurice. Hi, could you please tell me if this calculation allows for some extra wax to use to fill in the valley created around the wick after the candle has cooled first time? Yes, Claire, it does – it’s only an approximation in any case. If in doubt, melt a bit more than you expect to need. Ok so I need the calculator during my many blonde moments but this formula works for me every time. If I am making more than one candle I have tart molds on standby as I can normally make at least a sample size from what is left over. Better a little left over than the nightmare of not enough! Hi, could you tell me if this calculation is the same for any kind of wax you use or if its only for certain waxes. As a typical votive mold will hold little water and having no way to measure this small amount, can you please tell me the typical weight for wax for making a votive. Hi Luisa, I think our technique is better because the other method will give different results depending on how big the flakes are. 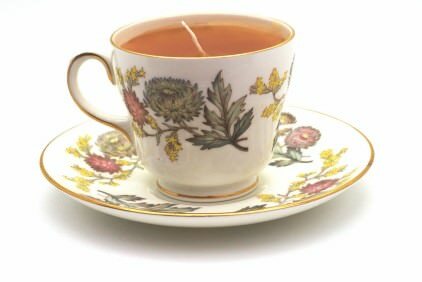 Technically, the 10% refers to weight so you should really weigh your scent and add 36 grams to the wax – 36ml is roughly right, though it might be somewhat out either side depending on how dense the scent is. sorry being really think, I must be tired just cant think. so if I have 230g of wax how many mls of scent do I need in mls for the strongest scent please sorry. Do you have an easy way, like with the wax calculations, of how to work out how much scent/fragrance I need to use. I’d be really grateful for any help.